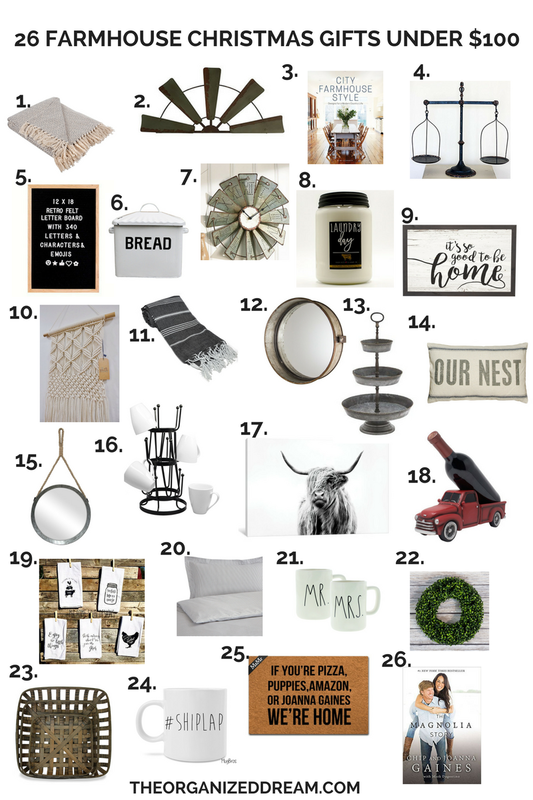 The farmhouse style is very popular and with everyone loving it, there are a lot of farmhouse style wishlists out there. 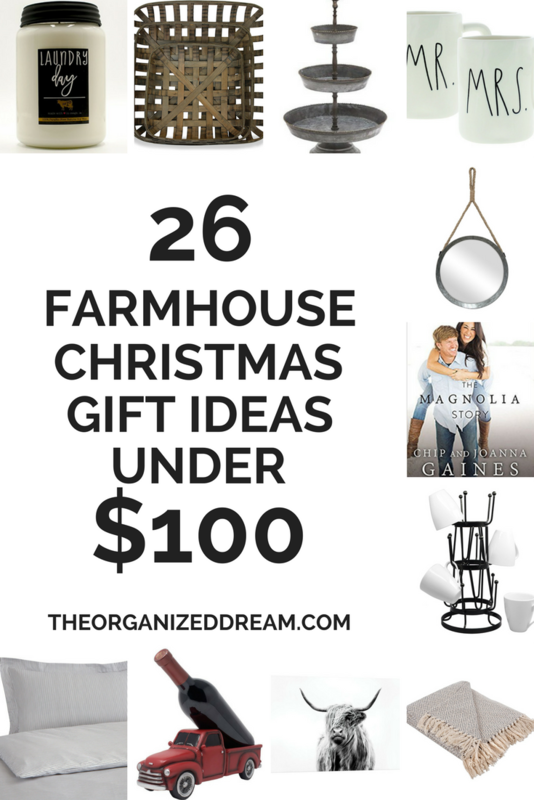 Whether you're looking for a little stocking stuffer or a big gift to surprise someone, I have a great list of goodies and they're all under $100! * This post contains affiliate links. For more information, please visit my disclaimer page. I have been following this trend for some time and have come across most of these items over the past year. I'm pretty obsessed and I'm even in a bunch of farmhouse Facebook groups. (If you haven't joined one, you should!) They're loaded with so much inspiration and it's a great place to share your decor and even ask questions along the way. It has given the me the opportunity to see what is trending right now and this list features all of them. Know someone who would love one of these? They're all priced under $100 and, because they're from Amazon, they'll arrive within 2 days if you're an Amazon Prime member. So cool! Do you have any of these on your wishlist this year? I'm guilty of saying that they're all pretty much on mine!